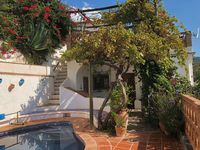 Property 15: Casa Camelia - VTAR/GR/01353 - 2 Bedrooms/Sleeps 3 - Shared Pool. Property 20: Private and secluded cottage with garden and pool. Property 21: Apartment and terrace with stunning views in Bubión, Las Alpujarras. Property 24: CASA JAZMIN (VTAR/GR/01353) - Private pool, sleeps four, amazing views. Property 29: Secluded stone built country house, a totally private pool and amazing views. Property 38: A beautiful country house in lovely gardens with 360 degree mountain views. Property 41: Recently renovated 2 bed townhouse with a large roof terrace in Orgiva town. 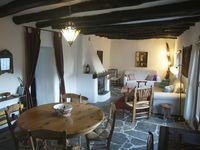 Property 48: Alpujarras. 500 Year Old Stone House In Whitewashed Hamlet. A Walkers’ Heaven! Property 50: The Mill - a magical, secluded country house set in its own valley.